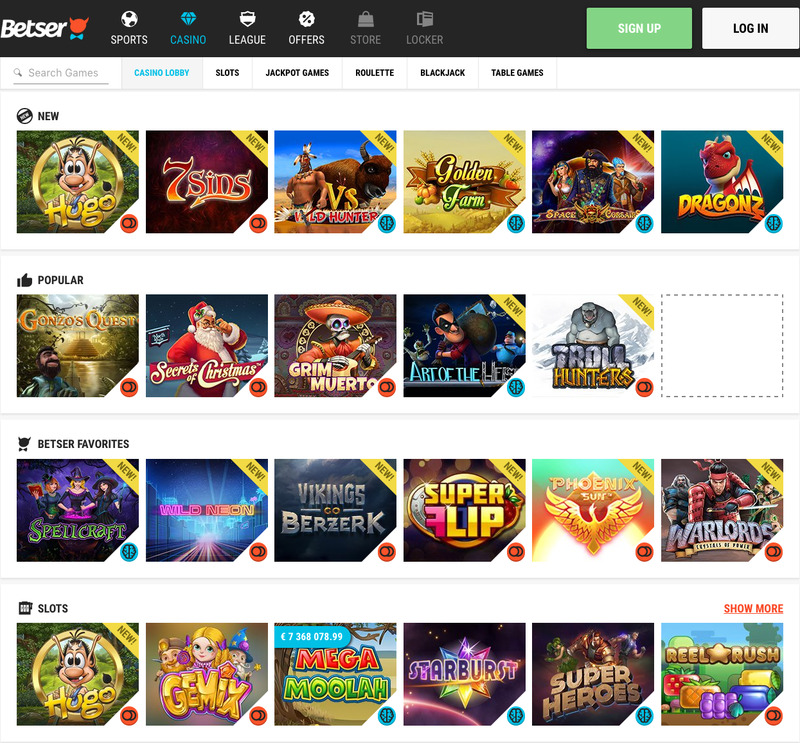 Betser is an online casino and sports betting site that entered the iGaming world in September of 2016 with some serious momentum behind it, coming from Hero Gaming, the company behind the 2014 online casino smash, Casino Heroes. Hero Gaming won the Most Innovative Start-up award from EGR in 2014, and with a modern legacy like that, a lot was expected from Betser upon its release. Some online casinos have faded under the pressure in situations like this, but others have flourished, which category is Betser likely to fall into? The first thing you’ll notice is that hero certainly isn’t just making a clone of another of their sites, something that is true of a depressing amount of online casino networks, instead they have gone in an entirely different direction with Betser, and it works a treat. Looks aren’t everything though, and if Betser is going to rise to the heights of its online casino brethren, let alone changing the big guns of the industry, then a lot needs to be offered in terms of content, customer service, and treats for players. Different doesn’t always mean good, and just because Betser looks nothing like Casino Heroes, that doesn’t make it immediately worthy of celebration. However, the design here is strong, and although being very different, has the same striking feel that Casino Heroes does. The design concept is simple for the most part here, definitely more tailored towards sports betting than casino, with a devil in a bowtie playing the part of the logo, and the colour scheme being predominantly white and various shades of grey. There are splashes of colour here, namely blue and orange, which are used sparingly, to great effect. 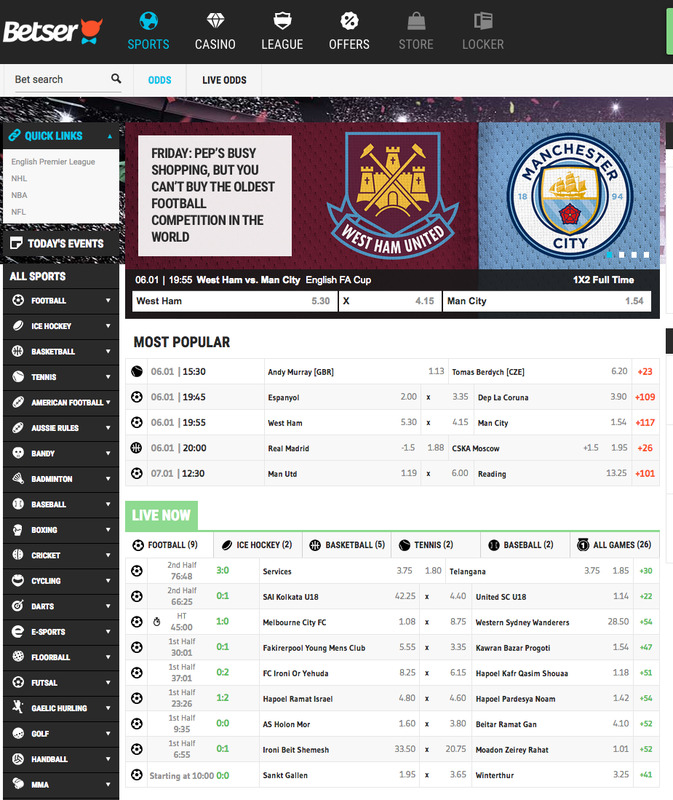 For the casino section of the site, which is sensibly kept separate from the sportsbook, there are thumbnails allowing access to popular games, like you will find at most sites, but the colours are faded slightly in the images, creating a slightly subtler look than the majority of sites. There are some teething problems yet to be fixed at the site, with sections appearing to be unfinished, but for the most part, this is a good-looking site for those who don’t like too much of a bright and bold design concept. Betser do not have as many names providing the games as you may find at a number of other online casinos, but the selection they do have is intriguing. Games here come from Microgaming, NetEnt, Play'n GO, Playson, Push Gaming, Quickspin, SBTech, and Yggdrasil, which combines the giants of the industry with a few up and comers and rising stars to give you a decent variety of games. As with most online casino sites, there are more slots than any other game, which is no real surprise given the number of slot games that exist. New slots include Jungle Book, The Legend of Shangri-La: Cluster Pays, and Fairy Gate, while classics including Gonzo’s Quest, and Starburst are here in abundance. Betser also offers a decent selection of jackpot slots, as well as table and card games including roulette and blackjack in several varieties. Betser is a solid sequel to Casino heroes, and proves that its predecessor was not just a fluke for Hero Gaming, this is a company that really care about what they produce, and they have proven that again with Betser, which is a truly excellent casino.